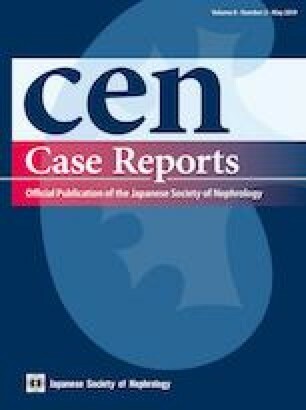 Nonarteritic anterior ischemic optic neuropathy (NAION) is a well acknowledged rare complication of chronic hemodialysis in patients with end-stage renal disease (ESRD). We present a unique case of a patient on chronic hemodialysis who presented with an NAION in the right eye, then 3 months later developed an NAION in the left eye followed in 1 month by second NAION episode in the left eye. Every episode of NAION was accompanied by intradialytic hypotension (drop in systolic blood pressure of over 20 mmHg) where visual loss was noticed at the end of the dialysis session. Clinicians should be aware of association between NAION and hemodialysis and that patients with dialysis-induced hypotension are at particularly increased risk of having NAION. Patients who had dialysis-associated NAION should be closely monitored to prevent occurrence of intra-dialytic hypotension as they are at the highest risk of sequential NAION and thus severe visual loss. Not applicable, no identifying information presented.